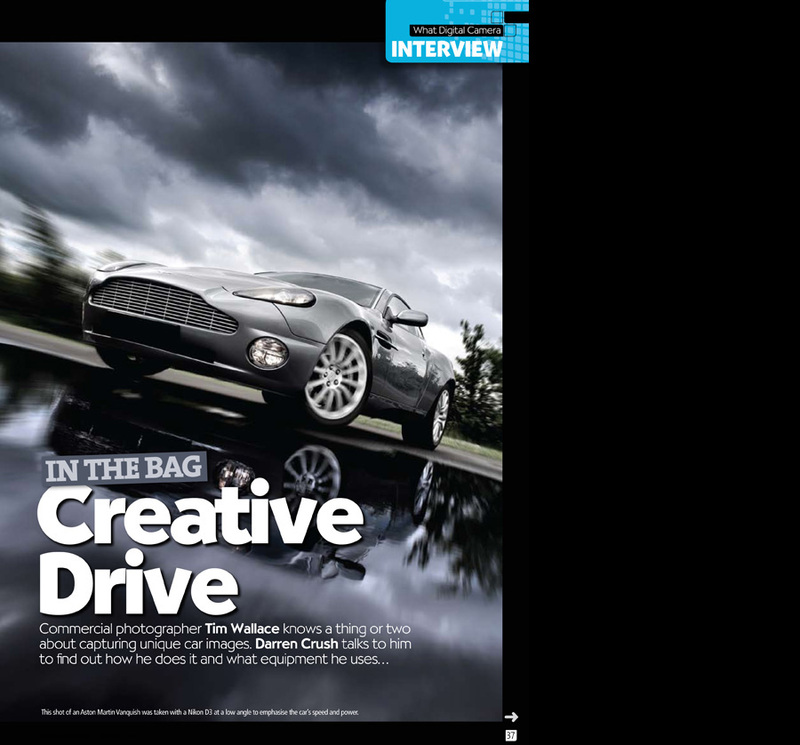 Read all about Ambient Life's photographer Tim Wallace and his work in this months edition of What Digital Camera Magazine, available throughout the UK and Europe from 3rd October 2008. The article covers mainly Tim's automotive work as one of the UK's leading car photographers, and focuses on how he approaches his commercial work explaining just what drives Tim to create car photography that is viewed by many to be both inspirational and unique. What Digital Camera's Darren Crush also talks to Tim about his passion for his work, what drives him, and just how he approaches his work not to mention a run through just some of the equipment Tim uses to help him achieve the results that he gets, as well as background on technique, and advice for those who are interested in improving their own photography. A great read and available now in all major newsagents!